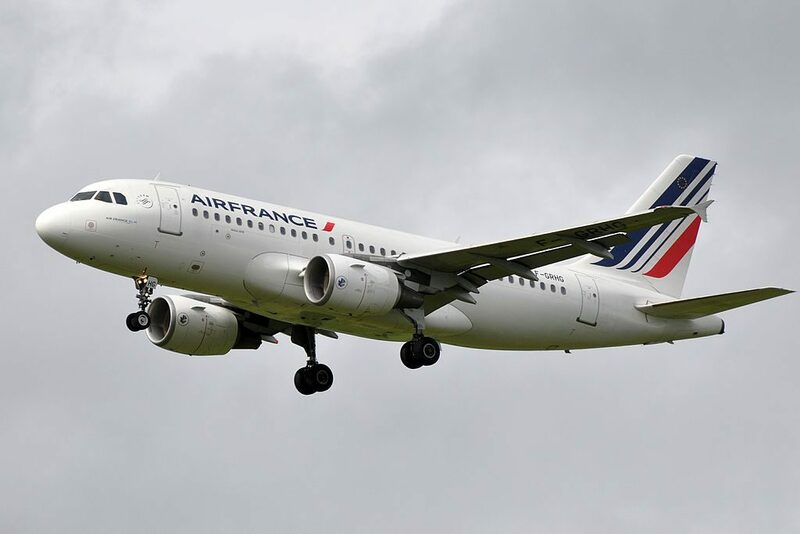 Air France Fleet Airbus A319-100 Details and Pictures. 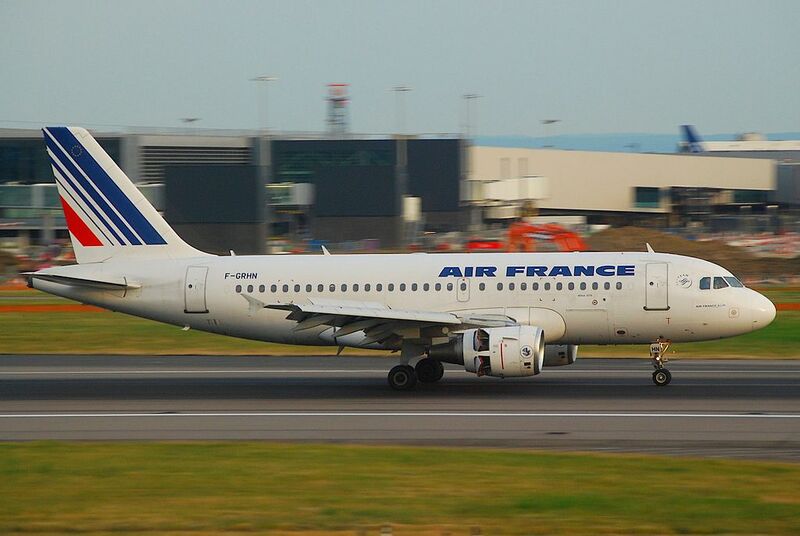 Air France operates 34 aircrafts Airbus A319-100. 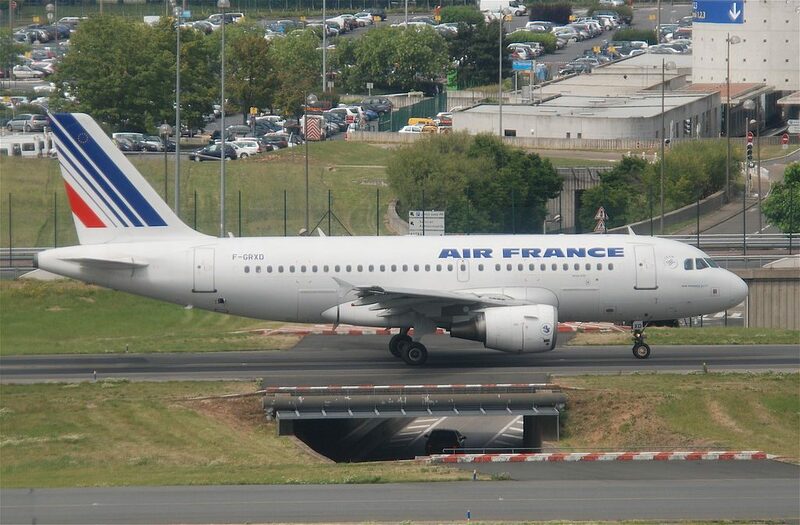 This aircraft have similar layout with the A318-100. Except the base model that is meant for transportation of 116 passengers for 6650 kilometers distance to ordering customers is offered variant with increased capacity up to 156 seats. 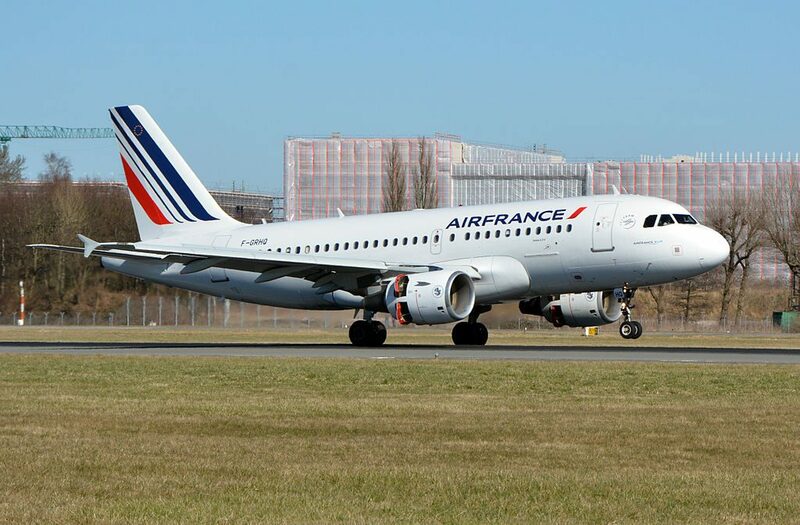 As compared to other airplanes of the similar dimensions Airbus A319 (as well as the base model Airbus A320) differs in spacious passenger cabin with big shelves for hand luggage, big load-carrying ability of the lower (cargo) deck and wide access doors for baggage loading. 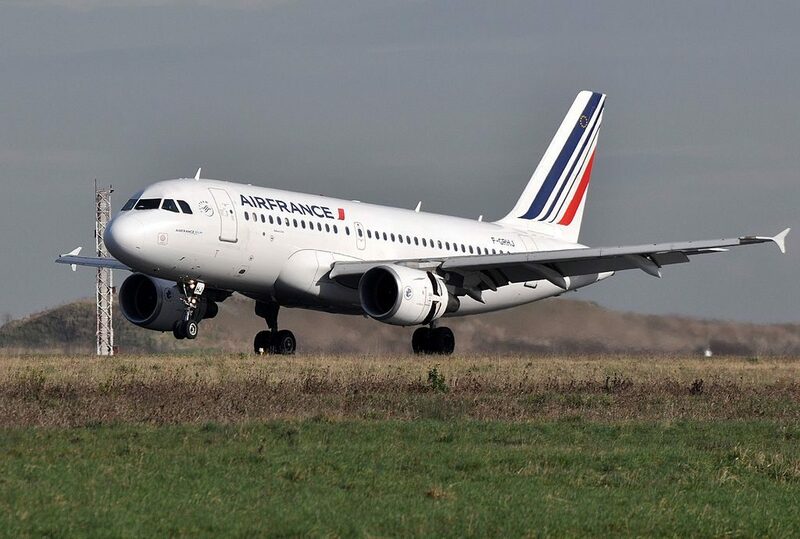 For these and other reasons (including relatively low service charge) Airbus A319 is popular in entire world. 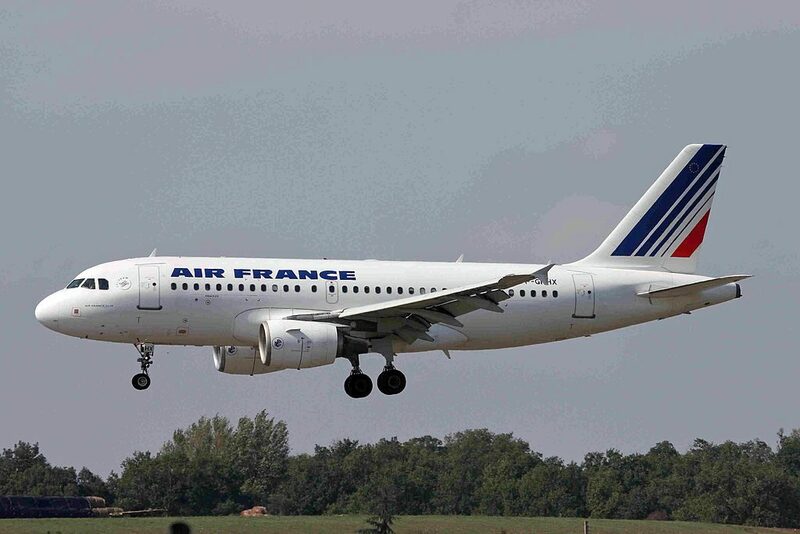 For today airplanes Airbus A319 are used by 27 airline companies making charter and regular flights all over the world. On airplanes of Airbus A319 (A320) family (constructed after 2000) innovations (enhanced version) introduced during construction of Airbus A318, such as: replacement of cabin’s dado panels, more spacious shelves for hand luggage (internal volume has increased by 11%), new Flight Attendant Panel (FAP) with sensor display, individual lightning above each passenger (Reading lights) based on LED, possibility of brightness regulation of the main illumination in the cabin from 0 to 100%. 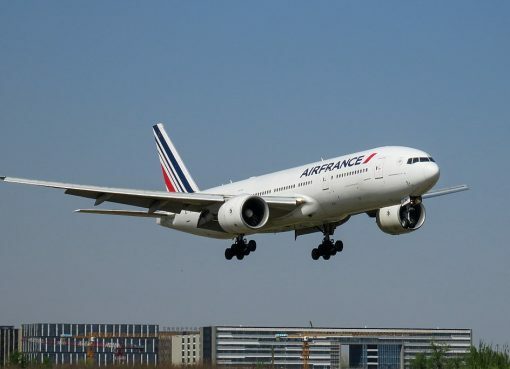 high level of auto airplane control and its systems allowed to restrict the number of crew members with two pilots. 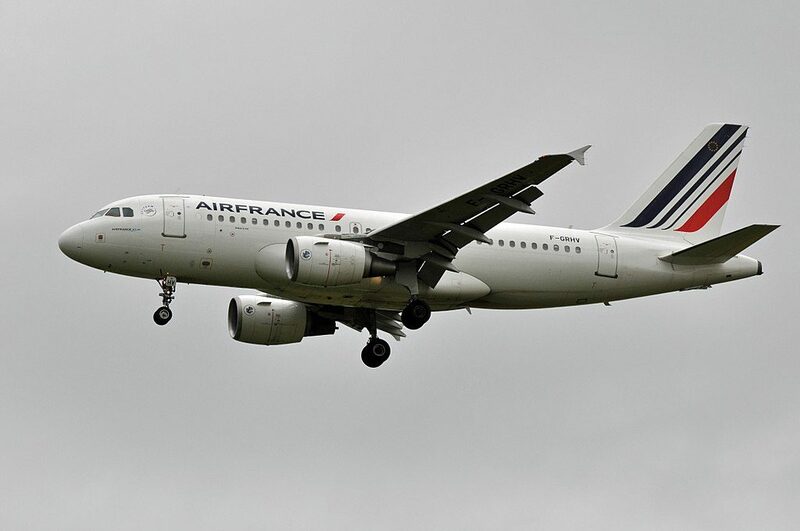 Air France operates 2 versions of Airbus A319-100. 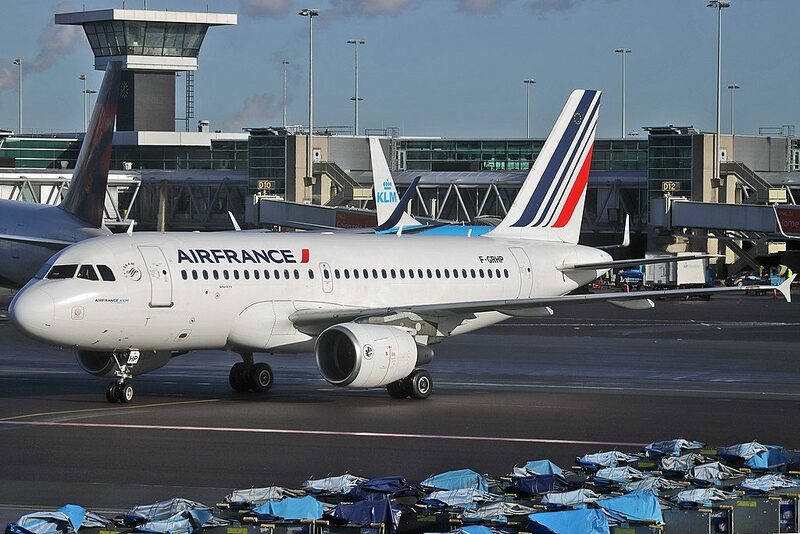 First version of Air France’s A319-100 has 143 seats and is flown in a 2 class configuration. 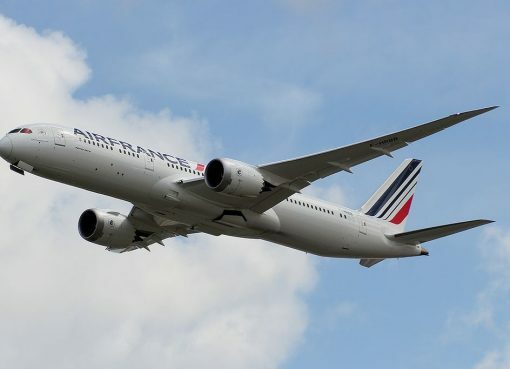 The aircraft features European-style Business Class and Economy Class seating. 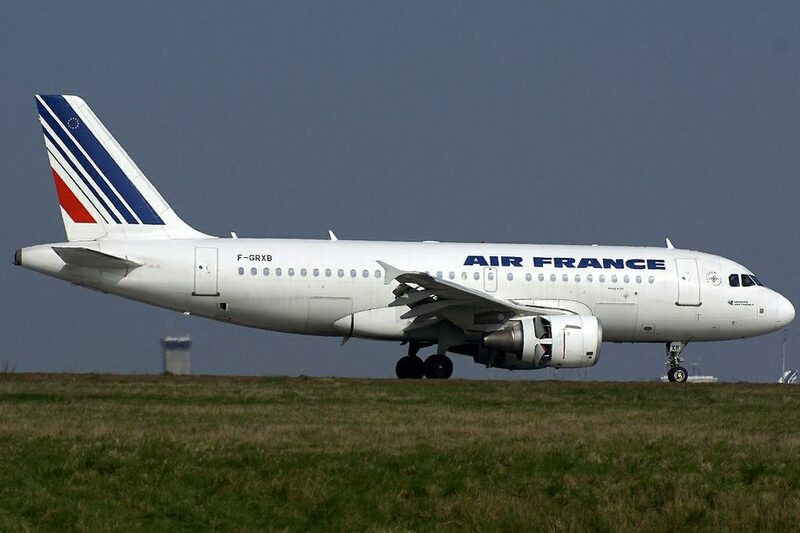 Second version configuration is a single, Economy Class layout with a total of 142 seats. 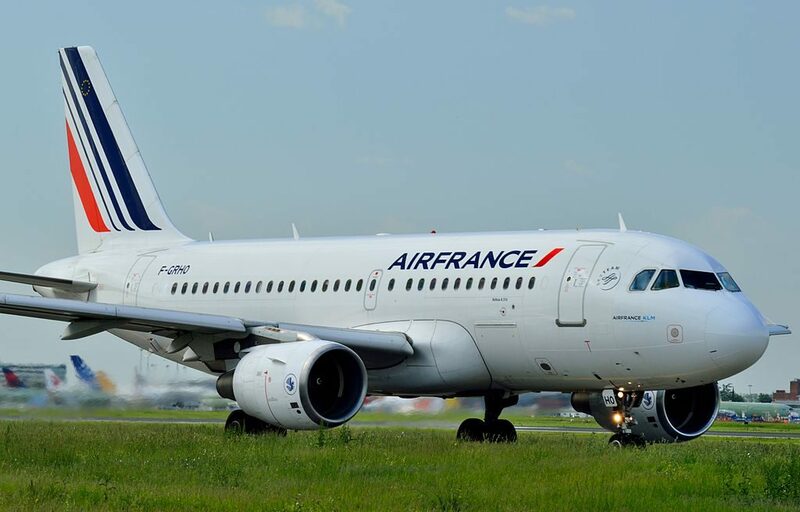 The first cabin version of Airbus A319-100 operated by Air France offers the seats in two classes: business and economy. Business class consists of 28 seats located in 7 rows. All the middle seats here are not sold providing more space and privacy to passengers of the business class. The seats of the 1st row have less space for passengers’ legs, bassinet location and close location of the lavatory may also cause inconvenience to passengers of these seats. 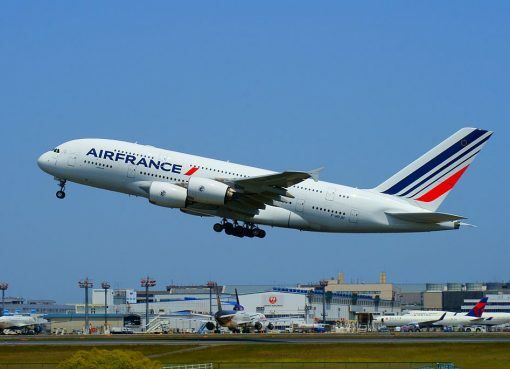 Economy class may accommodate 101 passengers. The seats of the 9th row have limited recline due to the exit door located behind. Passengers of the seats of 10th row will feel comfortable thanks to extra legroom. 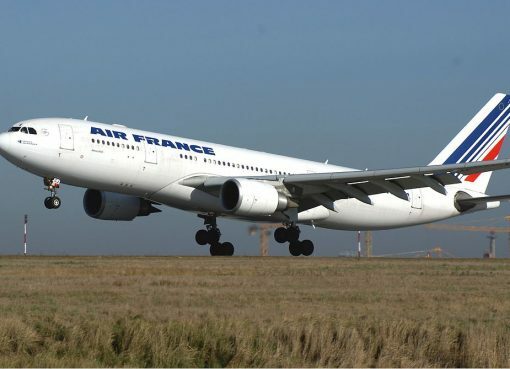 These seats are designated by Air France as Seats Plus. To reserve these seats an extra fee should be paid. The seats 24DEF, 25C and 26 AB are considered bad seats as other passengers tend to gather in this area while waiting to visit lavatories. In addition, as there is no seat behind the seat 25C is often bumped by other passengers passing by and crew members. But the seats 26AB may be not reclining. 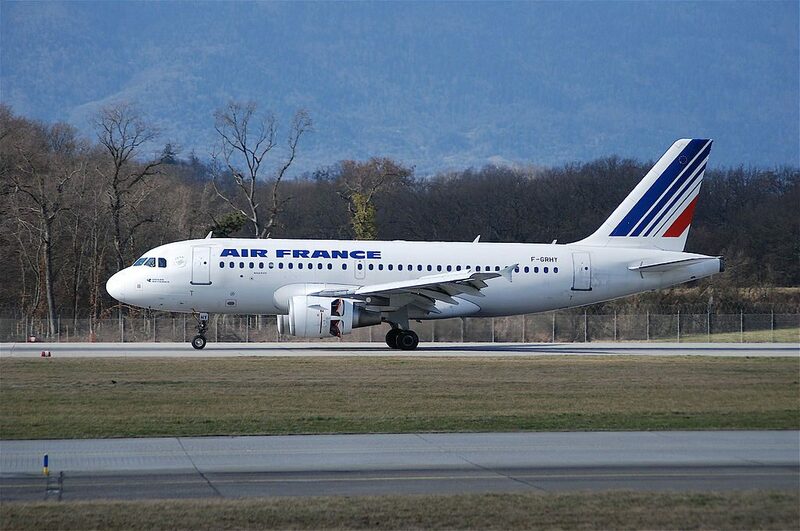 The second version of Airbus A319-100 operated by Air France may transport 142 passengers. This version has only one class of seats – economy. The seats are located in two sections. First section consists of 9 rows of seats that have 3-3 configuration. Passengers of the seats of the 1st row will take advantage of extra space for their legs. These seats are considered good seats. The seats of the last row of the first section, i.e. the seats of the 9th row are less reclining due to the exit door located behind. 15 rows of seats are located in the second section: 14 rows per 6 seats in each and the last row has 4 seats. The seats of the 10th row have extra legroom providing additional comfort to passengers of these seats. The main disadvantage of the seats 24C and 24D is that these seats are often bumped by other passengers and crew members passing by. The seats of the last 25th row are considered bad seats as other passengers tend to gather in this area while waiting to visit lavatories and causing discomfort to passengers of these seats. 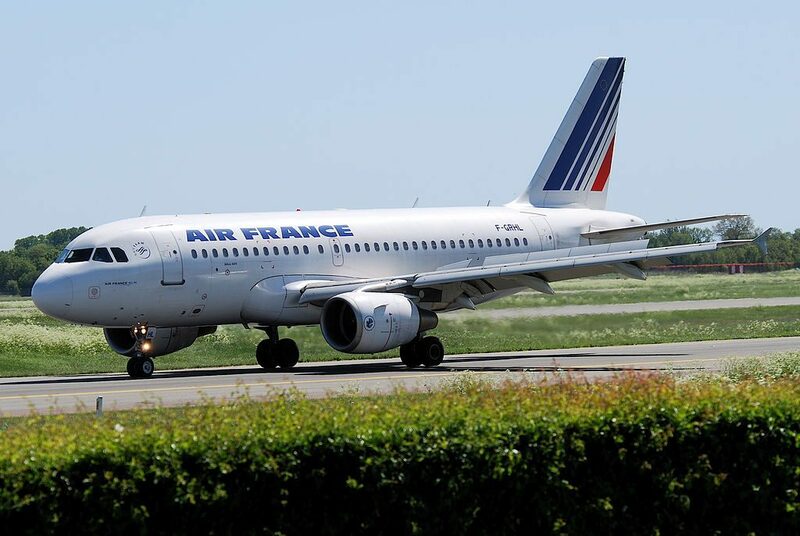 Thanks to visiting AirlinesFleet.com and read article : Air France Fleet Airbus A319-100 Details and Pictures.